When you make any decision regarding your business, there are many different things you may take into consideration. What are your long-term goals for business growth? Are you taking your business in exciting new directions? Is your brand growing steadily to become a recognizable name? All of these things are important – but none of them are as important as the financial implications of your choices. As any CEO or company owner knows, the most important factor in almost every decision is balancing low cost of implementation against potential revenue.In the world of web hosting, this kind of decision can have a long-term implication. When choosing a web hosting provider, the price of your hosting plan is a continued expense over time, and should be carefully considered against your estimated number of visitors and possible new sales. In addition to the choice between shared hosting, virtual private server (VPS) hosting, and dedicated hosting, many businesses are surprised at the importance of choosing the best operating system to run your web hosting server.In a recently published article, How Linux Web Hosting Can Save You Money And Attract New Customers, Linux web hosting specialist JaguarPC examines the incredible popularity of Linux hosting services and explains how a feature-packed Linux server can be an affordable way to launch your web presence. You will also learn more about the many benefits of a Linux hosting service and how your choice of operating system can help to attract new customers and generate revenue.How An Affordable Linux Hosting Plan Generates Revenue For the vast majority of businesses, generating revenue online equates to sales driven through a quality web presence and ecommerce facility. At the most basic level, your ability to make money online is determined largely by the reliability and uptime of your hosting service – simply put, if you experience unavailability for any period of time, this is a window of opportunity where your customers may turn to a competitor. In addition, businesses are realizing that successful Internet sales are not just the result of displaying products online. Instead, you need to develop a fully-featured range of exciting, attractive web content that will keep customers coming back for more.In the latest article, JaguarPC explores the built-in security, stability, and reliability functions that make Linux web hosting the most dependable form of hosting on the market. The article also explains how these impressive features can have a direct impact on your ability to generate revenue. JaguarPC also discusses how choosing the right Linux distribution can enable you to enjoy a Linux server that suits your specific needs, as opposed to a one-size-fits-all solution.The article also reveals how choosing the open source nature of Linux operating systems on Linux hosting services reduces your annual expenditure on your web hosting solution, helping to increase profit margins and grow your business in the online marketplace.Flexible Linux Servers And Linux Hosting From JaguarPCWith over 13 years of professional web hosting experience, JaguarPC has grown to become a leading provider of Linux web hosting with flexible, customizable services to suit every individual need. 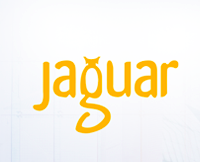 JaguarPC offers Linux across its vast service range, which includes shared web hosting, virtual private server (VPS) hosting, dedicated server hosting, and hybrid server solutions.JaguarPC prides itself on offering the most choices for customers, with a number of Linux distributions available. These include the world’s most popular Linux web hosting operating systems such as CentOS, Debian, Ubuntu, Fedora, and Suse. JaguarPC is also happy to implement custom-built solutions with your preferred alternative Linux distribution.JaguarPC’s robust Linux hosting services also include 24/7/365 customer support, proactive server monitoring, and a 100% network uptime guarantee.Find out why you should choose a Linux web hosting plan from JaguarPC in the company’s latest article, or for more information call 1-888-338-5261 or visit www.jaguarpc.com.